The Los Angeles Rams and newly appointed head coach, Sean McVay, head into their first offseason together as one. To say there is work to be done, would be an understatement. When Former Head Coach Jeff Fisher took over the St. Louis Rams in 2012, the roster was in shambles. The Rams had won just 10 games in the combined three years under Steve Spagnuolo. One of the many, many, many, many excuses from Fisher was how he took over a very bad roster to start with. Fisher would probably tell you how he made that roster better and made the team better, maybe even competitive. However, 4-12 is 4-12. Sean McVay is now the head coach, and he may be taking over a roster that is in worse shape than it was when Fisher took over. Below, I’m going to take a look at just the running back position, a position the Rams invested very heavily in during the Fisher era. When Fisher took over, the running back position may have been one of the Rams’ strong points. Steven Jackson was one of the best running backs in the league and was coming off of his seventh straight 1,000 yard season. Behind Jackson is where the Rams were always lacking. Jackson was always forced to carry the load for so many years, and in the end, it’s probably why he wasn’t the same player with the Atlanta Falcons as he was with the Rams. Cadillac Williams had seen better days in his career, Jerious Norwood was a change of pace dynamic playmaker, and Brit Miller served as a decent fullback. The Rams were good at the top with Jackson, but like in many positions they didn’t have the depth. After Fisher, talent-wise the Rams are better. 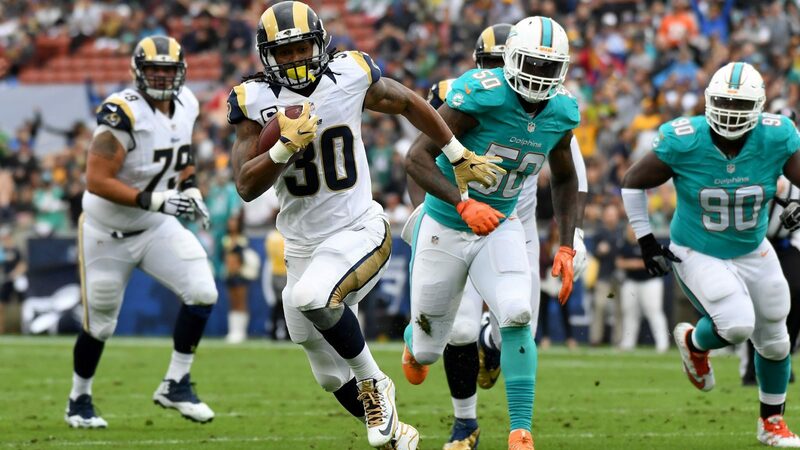 Todd Gurley did what he did in his rookie year rushing for 1,100 yards and 10 touchdowns. He’s not Steven Jackson level yet, but he can still get there. Benny Cunningham has served as a fantastic change of pace back and kick returner. There is little doubt that he could start for several teams in the NFL. Chase Reynolds has been good on special teams and Cory Harkey, while he was non-existent in 2016, has been a decent lead-blocker when the Rams have gone into a heavy formation. The jury is still out on Malcolm Brown, but he could be a salvageable number two or three running back. As I said, talent-wise, the Rams are better. Running back is one of the few positions the Rams have good depth. To answer the question, is the team better or worse after Fisher at running back, the answer is better. At this point Jackson may have the slight edge over Gurley, but depth wise, the Rams are without a doubt better. With that said, I still have to say the Rams are worse. Fisher used draft picks on running backs in four of the five drafts in which he was the head coach. That included Isaiah Pead in the second round and Tre Mason in the third round. Those are high draft picks that easily could have been used elsewhere. This is where it starts to hurt. Instead of taking Pead with the 50th overall pick in 2012, they could have drafted Kelechi Osemele, who has developed into an all-pro guard and was taken 60th. Mason, drafted in 2014, like Stacy, had one good year. Had the Rams been able to develop Stacy, the Rams could have used this pick on someone like wide receiver Donte Moncrief, Pro Bowl G Trai Turner, G Gabe Jackson, and the list goes on. Had the Rams been able to develop Stacy and Mason into a pretty good one-two combo, taking Todd Gurley with the tenth overall pick in 2015 wouldn’t have been necessary. This isn’t to say Gurley isn’t a good running back, but #Yikes, he was the fourth running back the Rams had taken in successive drafts. Instead of Gurley, the Rams could have taken cornerbacks Trae Waynes or Marcus Peters to prepare for Janoris Jenkins leaving, or Andrus Peat because they needed a right tackle. This is all to say Fisher could have developed the players into what they are now as well. The running back position is intriguing because the Rams are better at running back, but the inability to develop a guy like Mason, Pead, or Stacy, impacted the rest of the roster immensely. Those are picks that could have been used elsewhere and weren’t. Fisher took four running backs in five years while ignoring the biggest issues like the offensive line until they stockpiled on the position group two years ago. The jury is still out on those players as well. Are the Rams better at running back than they were in 2011? Like I said, it’s not even really close because of the depth. However, when you account for the four draft picks, three of which came in the first three rounds, and Fisher missed on three of them, those are picks could have been used elsewhere on the roster. So yes, the Rams are better, but it’s the missed picks, the missed opportunities, and inability to develop young offensive talent, that made the team worse under Fisher.